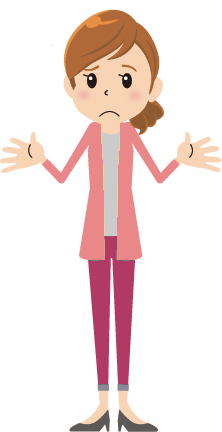 Do you have a mission that you’re driven to fulfil in the world, but imposter syndrome and a fear of visibility keep blocking you and you don’t know why? Do you hold back instead and letting yourself truly shine? Do you feel undermined and held back by the world around you, especially if you work in a male-dominated environment? Have you already achieved great things, but you still live with a sickening pang of anxiety in your stomach, and feel you’re never good enough? Are you ready to access your zone of greatness, but instead feel stuck and limited? Does your life feel like one long exam? Are you driven to be perfect, but you know it’s undermining your wellbeing? Is there stuff in your past that you just haven’t got over, even though you suppress it well? 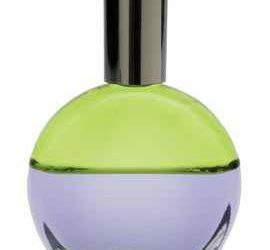 Do you yearn to be yourself and embody your true feminine brilliance, but don’t know how? It ‘s time to pull back your power! What is YOUR HIGHEST POTENTIAL? You’re a high achieving, motivated professional women, driven to succeed in the conventional world, but you’re held back by imposter-syndrome, not feeling good enough, struggling to promote yourself and shine even though you’re more than capable. You have a tendency to push yourself too hard, never feeling your achievements are quite enough, and you are starting to be undermined by stress, anxiety and maybe health issues. You are capable of making it to the top, but sabotage is stopping you. You are so frustrated because you know you have what it takes to be the best at what you do. 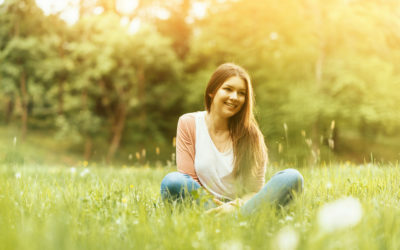 BUT what if you were to unlock your inner brilliance and reconnect to your true feminine power? When you pull back your power – and release the deep-seated conditioning that’s kept you out of alignment with who you really are – that’s when you truly shine. Imposter syndrome becomes a thing of the past and you can achieve effortlessly. You’re a woman with a higher mission, a vision and a purpose. Maybe you’re an entrepreneur, maybe you have a burning desire to manifest something in the world. BUT to do this you have to be seen, heard and noticed. You have deep fears of being seen, and each time you try to expand yourself, your business, and get your mission going you are overwhelmed with fears, blocks, stresses and end up going nowhere. It’s beyond frustrating and you have had enough. This is a struggle I know all too well! The world needs what you have to offer, your unique genius and mission. The roots of those visibilty blocks and fear of being noticed are way back in our ancestry with its restrictiosn on what a woman can do and be. Older than this, the submission response which makes us give our power away subconsciously undermines us at our very foundation. Learn to pull back your power and shift that obsolete programming and those visibilty blocks evaporate. That’s when you can take action without feeling held back and blocked. That’s when you can get that vision manifested into the world and fulfil the destiny you’re here for. Life has held you back more than you care to admit. Maybe you’ve come from a patriarchal family where you weren’t allowed to express yourself. Maybe you have experienced major life challenges which have crushed you. BUT you’re not the victim type. You’re a woman who is ready to do whatever it takes to embrace your voice, your visibilty and your presence and make a life for yourself. You ready to take action, you just need the tools and guidance to free yourself. You may not even know what your purpose and mission is yet, but you know you have great things to offer if you can just unlock your potential. Here’s something that’s really important for you to understand. The challenges you have experienced are your training for brilliance. Being held back is exactly where we find our greatest wisdom, gifts and motivation. Who knows just now what you could become or how you could grow. The fact is though that when you take back your power from those experiences, you will find an inspiration which can transform your life and the life of others. If you see yourself in one of these women – I can help you step into your brilliance and find your true power. How many opportunities have you missed because you didn’t feel confident enough or safe enough to put yourself forward? How much longer will you risk ruining your health and happiness by repeating the same old sabotaging patterns? How long will you let your past experiences prevent you from getting the future you dream of? How much longer will you settle for not achieving what you’re capable of…while less-talented people get promoted over you? Here’s the bottom line – nothing will change in your life until you get your power back – really get it back – from the events, beliefs, conditioning and experiences that have limited your life up till now. DON’T WASTE ANOTHER DAY STUCK IN THE OLD PATTERN OF HOLDING BACK AND PLAYING IT SMALL. It ‘s your life, why settle for less? It ‘s lovely to meet you! Healer, PhD scientist and intuitive. My mission – to help you pull back your power, so you can shine and embody your highest vision in the world, effortlessly. If you’re a woman who wants to have a real impact in the world, an entrepreneur, a visionary, a high-achieving professional, but you’re held back by not feeling good enough, by burnout or battling in the “boys’ club”, then I can help you. Over the last 16 years I’ve helped many women reactivate their true power – women who were holding back from visibility, brilliance and from making the impact in the world that their abilities warranted. Sometimes, self-help, coaching and counselling just aren’t enough. To embody your highest level vibration in the world, and create the career, business, abundance and fulfilment you yearn for, your deep limiting conditioning needs to be transformed, and a true power foundation created. I’m not afraid to push the boundaries of what is possible. If you’re ready to change the world, then I can help you gain the confidence, the self-belief and the inner power to make it a reality. 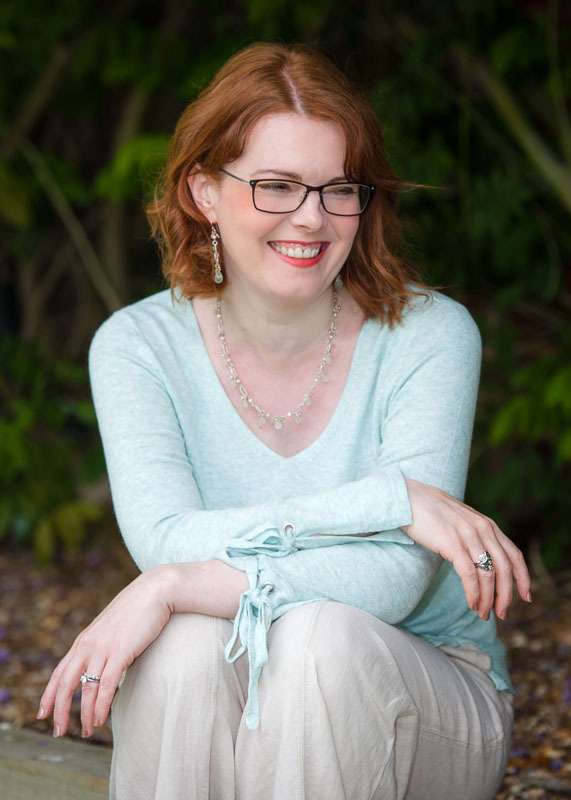 If you’re ready to work with me, we go way beyond mindset, way beyond healing – we create the quantum energy matrix that will support you as you step into your brilliance. You’ll learn how to pull your power back from everything that has kept you small. It’s truly game-changing. You won’t find my revolutionary techniques anywhere else. At FEMININE CONFIDENCE, you’ll find online programmes and life-changing healing to give you the power breakthrough you’ve been waiting for. What is your desire right now? I know what it can be like when you’re stressed, stuck and exhausted. Things can easily spiral down into overwhelm. What we need at these times is a powerful kick-start to get us back on track, to get things moving in the right direction, to reduce our stress and increase wellbeing in the short-term. 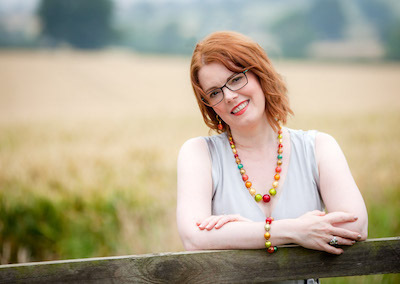 I’ve put together three of my most immediate healings that can reduce your stress, improve your sleep and help you get a confidence boost. If you’re frazzled, blocked and you feel as if the rug is being pulled from under you, then you’re in the right place. Just click on the images to find out more. You are a born achiever, but are you holding back? The truth is there is nothing wrong with you. You have the ability, the drive and the passion to create whatever you want in the world. What’s missing? You don’t have the POWER FOUNDATION to create what you want in the world. Why? Because for generations women have been deprived of power, influence and have been limited to the home. The one generation of our freedom and opportunity hasn’t been enough to create the power foundation we need. The Result? We feel out of place, lacking confidence, imposters and we hold back from shining our true brilliance and really being noticed. We feel held back by invisible limits keep us small and out of our true power. The Solution? To free yourself from the deep conditioninig that has kept women in straitjackets for centuries, and create the power foundation to support the manifestation of your dreams. I’ve created Cinderella Bootcamp® and Feminine Brilliance programmes, based on my 16 years of experience helping myself and women like you, to step into their unique feminine powers, and create the success they desire in their lives.. I’ve developed Feminine Power Alchemy™ a set of unique tools you won’t find anyhwere else that are truly game-changing. YOU KNOW YOU’RE CAPABLE OF SO MUCH MORE! Are you ready to activate your power? 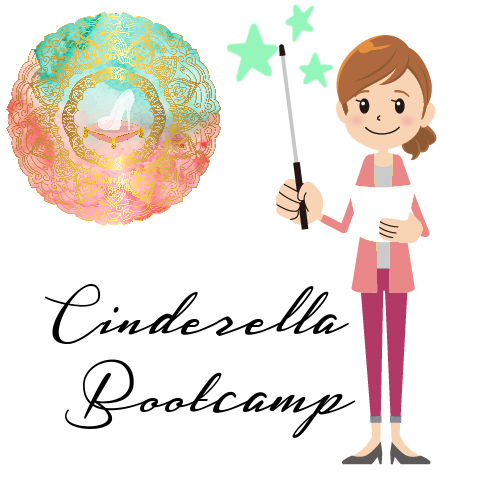 “Cinderella Bootcamp is excellent. It is easy to follow and use but incredibly powerful. Support is almost instantaneous when you need guidance and the answer provided to resolve it. The coaching sessions are invaluable too as we all benefit from them and it propels us forward when we are feeling stuck. Anne’s support is amazing, she is always there as if by magic and constant checking up on us to make sure we are progressing. The whole experience was outstanding, and the calls where Anne does the training live were the highlight of my week. I now use the power exercises each day and bring in my team to support me. I feel like I have more authority in all areas of my life and change the energy of situations if I feel out of control. "Bootcamp Has Put Me On A Journey Of Self-Mastery"
“The Bootcamp has put me on a journey of self discovery and self mastery. I have air tools at my fingertips thanks to Anne and her teachings and feel now it’s up to me to begin to use them. With the healings their were instant hanged in that I felt profound shifts but feel I have a lot of self help work to do on a daily basis to really make it work. The whole programme has been excellent from the teaching, to the slides and homework and audio help. The training was amazing! very insightful and thorough. Easy to follow and simple to use. Anne was fantastic. She answered all questions and queries, and explained things really well. I felt very supported throughout my journey. Definitely helped to understand my blocks and I now have a wide range of tools to help me overcome them. It’s begun a big shift in my energy and thinking process. I feel less stuck in past old fashioned beliefs. “Cinderella Bootcamp Was Absolutely Amazing"
“Cinderella Bootcamp was absolutely amazing. Anne’s support was fantastic and inspiring. The healings, and understanding the 3 pillars, really eye opening! I definitely feel more empowered. It becomes easier to act once you understand your underlying motivations and why things have been the way they have been. It has given me so much to think about and has made me feel like I am standing on a much stronger foundation. I was more than ready to take my learning to the next level, and Anne did it perfectly. The sequencing of teaching, then being taken through the technique practically before finally having the appropriate healing was fantastic. I felt I really learnt and fully understood the tools given to us. That, and the content of the course itself, has already made me feel so much more powerful and in control of my life. "I Have Stepped Into A Whole New Energy"
“Anne you were amazing! Just knowing that you were there if I needed you made the biggest difference to me. It created a comfort blanket for me to deal with some of the biggest and scariest things I have had to face and deal with. So, thank you so much from the bottom of my heart! I have stepped into a whole new energy. I have loved discovering myself as a brand new person every day and knowing that I am raising my vibration and therefor the vibration of my life. My whole energy and future feels brighter, lighter and so much more fun to be in. I truly feel honoured and blessed to be living into the life that I am now living into. 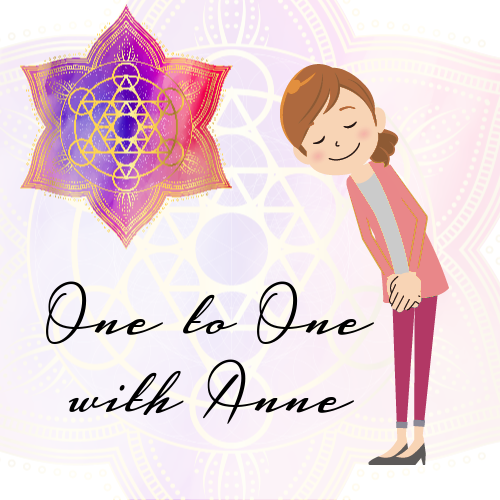 “I have been working with Anne one to one for the last three months. Wow what an experience this continues to be! Anne and I have tapped into many of my blocks and beliefs and past traumas which have held me back. We have worked together to make sense of the impact these have had in my life and have been able to release many old patterns. This has enabled me to move in the direction I have wanted my life to take for some time now without the fears and beliefs that have kept me stuck. My confidence levels and self belief are at an all time high. When I come across negativity I have the tools to work through these without getting sucked into old ways. I have a bit of work to continue doing with blocks and sabotage but I truly now understand some of the things that have happened in my past . For me understanding the why is important and I finally do. Because of Bootcamp, I feel empowered to move forward – This is huge!! There’s nothing wrong with you – there never was! You’re more than good enough. Good enough to shine, to lead and make a difference. The truth is that women are undermined day in, day out, by the legacy of patriarchal attitudes, assumptions and the energies of our world. Struggling against this holds us back, sabotages our confidence, our achievement, our success and our wellbeing. But it doesn’t have to be this way. I’ve worked out how women can truly level the playing field, pull their power back and feel confident in mind and body. but without the fear, achieving effortlessly! Free Healings, Self-Empowerment and Mindset Resources. 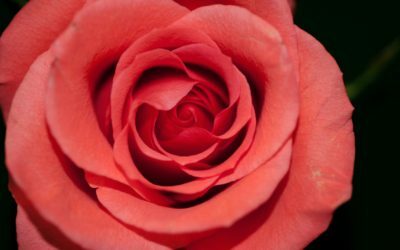 Most women struggle with self-nurturing and loving ourselves because we are conditioned from birth to put others before ourselves. Doing this undermines us in so many ways and deprives the world of our brilliance and gifts. This coral healing will shift subconscious blocks and conditioning, release stress, and help you to truly nurture yourself. I’ll be honest, I have struggled with being stuck, a lot – and I mean a lot! Every fear , worry and excuse under the sun. I’ve had them all. Everyone and everything tells us to set goals, to take action. We have the intention to do so and we might even get as far as writing the list, making the plan or signing up for the training, but then the inevitable blocks start to rear their ugly heads. Become a 'FEMININE CONFIDENCE INSIDER' for free energy tools, special offers and mindset wisdom. My powerful "Overwhelm Disconnect" healing is included in your welcome email. 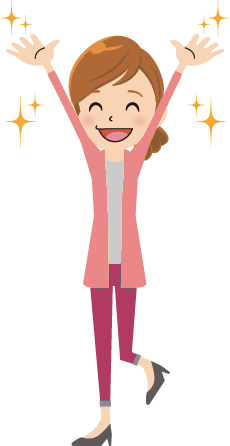 Thank you for joining! Check your Inbox and whitelist anne@feminineconfidence.com. 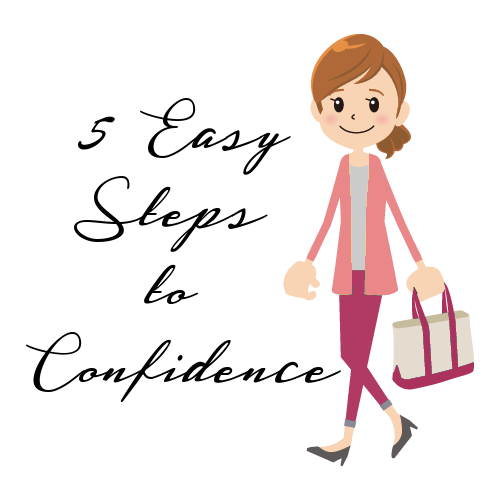 Become a 'FEMININE CONFIDENCE INSIDER' for exclusive offers and freebies. Do you like freebies? Support? Community? My Consent My Consent I'm happy for Anne to send me email. If you're a visionary woman you know you have great potential to achieve in your personal life, in your career and in the world. Often though, we hold ourselves back, not because we are afraid of failure, but because we are afraid of success. I have certainly struggled with this over and over again. So, this healing activation is designed to help you get past your blocks to being seen, being noticed, being heard, standing out, shining and embracing your true potential and power in the world. The more you listen to it, the more benefit you will receive. WHAT YOU RECEIVE - A convenient effective healing activation which releases subconscious blocks in a convenient MP3 format. 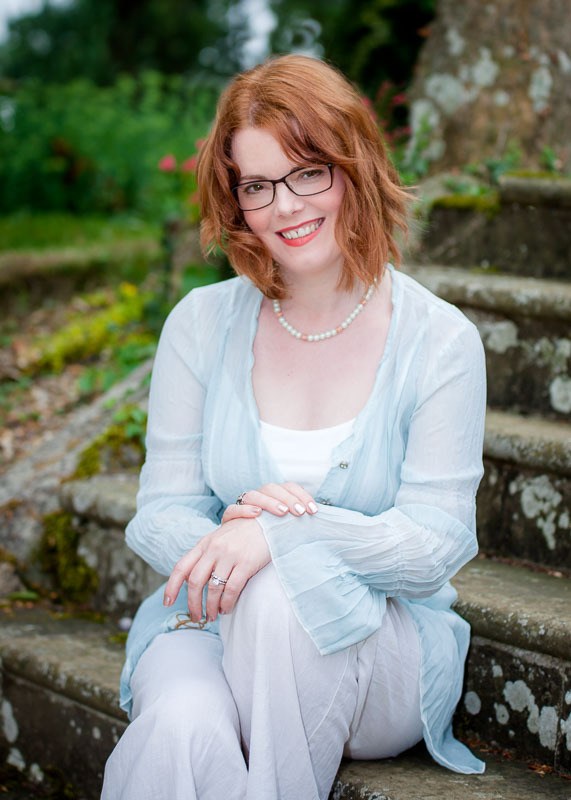 HOW DOES IT WORK - My activation healings are carefully designed to shift and release deep subconscious blocks that have kept you stuck in disempowering patterns, shortcutting many hours of mind reprogramming. HOW TO USE THE HEALING - You can listen to the MP3 healings on your phone or laptop, or download the healing file onto your laptop. Listen to it while relaxing, put it on as you fall asleep. DO NOT listen to this while driving as it may make you drowsy! HOW TO GET IT - Click the link to put your secure payment through. You will then receive an email giving you access to your healing. DISCLAIMER - I cannot guarantee specific results, but release subconscious blocks, limiting beliefs and raise your vibration, helping you feel better instantly, and open the future to a more positive energy. How many times have you pushed forward with a project, idea or something you want in life only to be confronted with blocks, fears, resistance, procrastination and self-sabotage? I have many times and I'm sure you have too. If you're feeling stuck and frustrated this undermines you in so many ways. I don't need to tell you that. This healing will help you get out of this frustrating pattern, enabling you to move forwards and make progress. 60 minutes of deep healing to calm your brainwaves, release stored stress and help you sleep better over time. As you listen, your brain waves are gently taken down into the alpha/theta frequency range. Channelled healing energies are programmed to release past and present stress from your cells, enabling your mind and body to relax deeply. WHAT YOU RECEIVE - 60 minute energy healing in a convenient MP3 format. HOW TO USE THE HEALING - You can listen to the MP3 healings on your phone or laptop, or download the healing file onto your laptop. Listen to it while relaxing, put it on as you fall asleep. DO NOT listen to this while driving as it will make you drowsy! HOW DOES IT WORK - This is a deep energy healing using frequencies which lift and release the patterns, stories and traumas which underlie our everyday stress, and which undermine our ability to sleep. Not only that, but it is carefully programmed with theta frequencies which help you to relax. DISCLAIMER - I cannot guarantee that this healing will send you to sleep, but it will relax your brainwaves, and it uses powerful healing techniques which will release stress from your mind and body which promotes sleep.